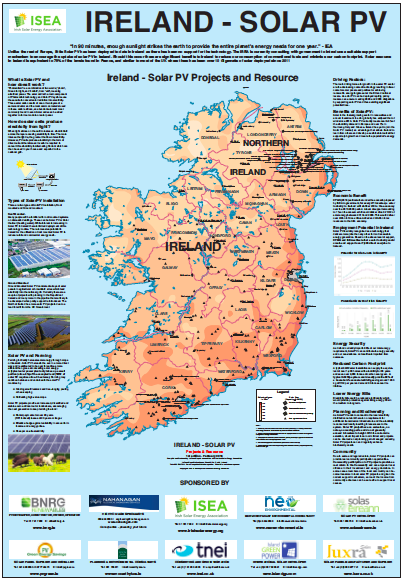 Over the years the company has covered utility scale solar on some of its Renewable Energy and Electricity Generation Maps. 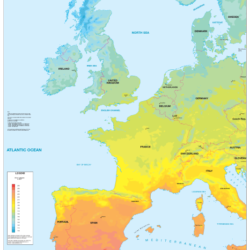 In 2013 the company published its first map dedicated to Solar PV. 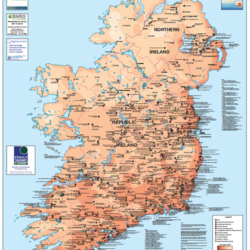 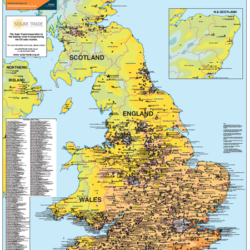 To date the company has published 4 editions of its British map on installations and resource and 3 editions of its Irish map. 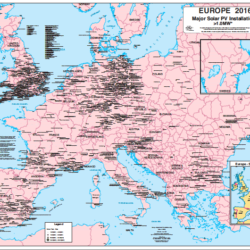 These maps show the location of the solar installations together with generating capacity and site operator against a background of insolation information.